IS THE CAMERA GOOD ENOUGH? WHAT SPECS DOES THE MAVIC HAVE? IS THE MAVIC EASY ENOUGH TO FLY FOR A BEGINNER? CAN THE MAVIC BE UPDATED THROUGH SOFTWARE? WHAT MAKES THE DJI PHANTOM 4 PRO THE BEST OF THE BEST? The Spark has a Base Price of $499, which if you didn’t know, is the lowest launch price for any drone DJI has ever made. It’s only $50 more than the DJI Goggles, the headset from DJI that’s currently on back-order. It’s so inexpensive that if you’ve been holding out for a good cheap drone, you might want to order one before reading the rest of this. They’re going to sell fast, and the shipping date is going to move farther and farther as the days go on. When you first see the Spark, you’ll be surprised at how small it is. It doesn’t look anything like the Mavic Pro, although it is made from the same high-quality materials. Even though the Spark itself isn’t foldable, the durable design and foldable propellers allow you to carry the Spark on the outside of a backpack or in a bag without worrying about it. It also comes in a strong little black case that holds two extra batteries. DJI Spark is the smallest drone ever created. Last year everybody was going crazy about how small and Portable is the Mavic Pro, but in 2017 they got even more extreme with the DJI Spark and made it twice smaller than Mavic. That is a pity DJI Spark doesn’t fold and unfold, but it’s already super small counting only 170mm in diagonal. Another place that we wish DJI could accomplish is to make it weight 250g, but unfortunately, Spark weighs 300g more. The optional controller that you get is great, especially for the price that you’re paying. It doesn’t have an LCD screen like the controller on the Mavic Pro, but instead, they’ve added a function button and moved the Sport mode switch to the center of the controller. There are a few other small changes, but I don’t know what they are since we didn’t get the new controller yet. There are a few ways of flying the DJI Spark. The most traditional way is to use the included controller that get’s over 1 mile of range. The Spark controller uses a technology DJI is calling “HD Wi-Fi” which isn’t what the Mavic Pro uses, but it still provides a clear, smooth, and reliable 720p video feed. This is something we’ve come to expect from DJI over the years. Just like most drones in the beginner price range, you can also control the Spark using your smartphone or tablet over a standard Wi-Fi connection, but what if you’re using your smartphone for something else, or you don’t have time to connect it to the drone before losing that special moment? Same as all other DJI products, Spark is using an intelligent battery that can keep it in the air for 16 minutes, which is 40-50% longer than other selfie drones on a market. What is really convenient about the DJI Spark is that you can charge it not only with a charger but also with a regular USB cable. This is where Gesture Control comes in. As you can see, getting ready for a flight is as simple as holding your arm out and pointing the camera at your face. To achieve this, the Spark uses its onboard sensors along with deep learning algorithms to intelligently recognize your face and hand movements. Wave your hands, and the Spark will start tracking you, make a frame with your hands and the Spark will take a picture. These are actually similar features to what we saw in the Mavic Pro, but there’s more. Hold your palm out and the Spark will follow your hand movements. Point up and it goes up. Point left and it goes left. You get the idea. When you’re ready to land, simply grab the Spark out of the air and the motors will automatically shut off. To use QuickShot, you will need to use the controller or your mobile device. QuickShot allows you to get shots that would otherwise seem too complicated or impossible for a first-time drone owner. There are 4 different shots to choose from; Rocket, Dronie, Circle, and Helix. Rocket is simple but fun. In this mode, the Spark will ascend fast with the camera pointing down. The second mode is called Dronie, and I’m sure you’ve seen it before. The Spark flies up and backwards while locked onto a subject, creating a dramatic zoom-out shot. Circle mode simply flies a circle around a subject, which sounds easy, but flying manual circles around something can be harder than it looks. Helix is my favourite mode. It flies in an upward spiral motion. Here’s a demo. This feature isn’t new, but it’s slightly different from the original TapFly. There are now two separate control modes; Coordinate and Direction. Coordinate allows the user to tap the screen and fly to that spot while maintaining altitude. Direction mode lets the drone keep flying in the direction you tap on the screen. 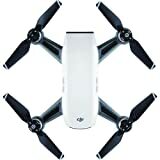 The short answer is a big yes, but it does have its limitations, which are more than fine for a drone in this price range. It shoots 1080 video, which means you aren’t getting 4K video recording, but do you really need 4K? It’s great to have 4K, but more pixels don’t mean anything. Take the Black Magic Pocket Cinema Camera for example. It only shoots 1080p and looks what you can do with that! What’s more important is the Sensor size which is actually larger than what you would find on an iPhone 7. The Spark is also the first small drone in its price range that features mechanical image stabilization. There are some drones similar to the Spark that shoot 4K, but they produce shaky images and only stabilize the footage “digitally” in 1080p. What is truly amazing about DJI Spark is that engineers managed to squeeze the 1.2/3 CMOS sensor into this tiny little drone, not even talking about the gimbal size. None of the mini drones on a market has a 2 axis gimbal of this size. Some of the users might be worried about stabilization as it’s not the 3 axis gimbal, but as DJI said with their new Ultra Smooth technology it’s just as smooth and fluid. The Spark might not have 4K video, but it does have some cool new photo features. The first one is the shallow focus. This mode is like the portrait feature on the iPhone 7 Plus. It works by slowly flying up while taking a series of images, then it creates a depth map and applies it to the final photo. The Panoramic mode can shoot vertical and horizontal panoramic images. Additionally, when shooting in the horizontal mode, the Spark will shoot horizontal and vertical images to create a picture with a larger field-of-view. The DJI Spark has a lot of new features that make flying easier, but it still has all of the older features like Active Track, Tripod mode, Sport mode and everything else that make DJI drones worth what you’re paying for them. The actual speed of DJI Spark without a controller is 9 mph. With the controller in sports mode, the Spark can actually go 31 mph; that is as fast as a much larger DJI Phantom 4 Pro in GPS mode. The charging times that DJI stated is slightly different than what We Talk UAV tested. Charging a Spark battery via USB is supposed to take 80 minutes. In reality, the battery actually takes about 90 minutes to charge. The DJI charging hub was designed to charge a battery in 50 minutes. We found that it actually takes 53 minutes. These numbers may not be that far off from their promoted times, but the charging times are consistently inconstant with the advertised times. Resetting the DJI Spark back to its factory settings is as easy as holding down the power button for 9 seconds. This is useful for resetting the Wi-Fi SSID and password. Once the Spark reset has been successful, the Wi-Fi settings can be edited by pressing on the three dots on the far right corner of the DJI Go app and going to the Wi-Fi menu. The size of the image sensor on the DJI Spark is exactly the same as the DJI Mavic Pro. Considering that the DJI Mavic Pro is a 4K travel drone that costs double the amount of a DJI Spark, the technology between the two aren’t too far apart. Some drone operators have speculated that using an OTG cable will reduce the latency between the drone and the controller. Even though We Talk UAV tested this hack out, drone pilots are still claiming benefits including further range. The OA system can be turned off and activated only when the Spark is returning home. This can be done by turning on the RTH obstacle check. Disabling obstacle avoidance will unleash the Spark’s full potential and allow the drone to travel up to 13 mph instead of the stock 9 mph. The stock discharge settings for the Spark battery is automatically set for 10 days, but a number of days can be reduced through the settings in the DJI app. The DJI Mavic Pro has tons of features and intelligent flight modes to make this the easiest drone you have ever flown. The DJI Mavic Pro comes with a visual positioning system (VPS) which consists of 2 cameras and 2 sonar units facing downwards so when you are indoors and don’t have a GPS signal it will be constantly taking pictures and pinging sonar to make sure of its position and altitude. I would happily take off in a 5ft by 5ft space in my living room and set the controller down, grab a cup of coffee, come back, and see that it is still waiting for me at a hover right where I left it. The positioning on this drone is unbelievably accurate. When you are outdoors it will be using not only the VPS at low altitude but the 2 GPS/Glonass units to precisely determine its position via 10+ satellites. It also has automatic return-to-home should you ever lose signal, at which point it will come back to the point of taking off. If you aren’t the best pilot just yet the DJI Mavic Pro also includes a forward obstacle avoidance system to prevent you from running into objects greater than 3in in diameter in front of the aircraft. Let’s talk a bit about the camera, The DJI Mavic Pro has a 1/2.3” CMOS sensor capable of taking 12MP still and shooting 4K video at 30FPS at 60bitrate. The lens is a 28 mm (35 mm format equivalent) at f/2.2. This combination of sensor and lens equate to a great field of view that is perfect for getting those narrow-angle shots from a little farther away than with the Phantom 4 Pro. One thing you will definitely want to invest in is some neutral density filters. Without them, you will be getting a severely over-exposed photo and video. I picked up the TACO RC Mavic Pro ND Filter set for my DJI Mavic Pro. These are my favourite set because they are an aluminium housing with quality glass and a nice neoprene gasket to keep them in place. I usually just leave my ND32 on all the time when I’m shooting 4K/30FPS and 60 speed. You always want to have your shutter speed about 2x your frame rate so you get that nice cinematic motion blur. So for 4K/30FPS, you want shutter speed at 60 for great high-quality video. For shooting footage with the DJI Mavic Pro which you wish to slow down in post production you would want 1080P/96FPS / 200 shutter speed, which I usually end up using an ND8 Filter for. The TACO RC pack comes with an ND4/ND8/ND16/ND32 for about $65. The DJI Mavic Pro delivers great photo and video but for the professional photographer, you should really look into a Phantom 4 Pro with a 20MP 1″ sensor, mechanical shutter, and adjustable aperture. The difference is quality is night and day. The 3 axis gimbal stabilizes the video really nicely for how small it is, and It seems like the propellers show up less than on the Phantom 4. One thing that’s cool about the Mavic is that the gimbal can rotate 90° for taking portrait photos or videos. Now you can select left or right and a speed and the DJI Mavic Pro will orbit the center point and you can get a great shot of an entire property from all sides. As far as flight characteristics go, it seems like the Mavic flies even better than the Phantom 4, maybe because of its smaller size. It definitely stays where you put it. Speaking of the Phantom 4, the Mavic also has front facing obstacle avoidance and so far it appears to work, but we’ll have to do more testing later to see if it’s improved. Next is “TapFly” you can have the DJI Mavic Pro fly to a selected location simply by clicking the screen. I love having the DJI Mavic Pro face me and go backwards and up about 100ft while keeping me in the frame to give a great idea of the perspective of my location. It will then lock on to you and you can move while the Mavic tracks you. You can even queue a time-delayed selfie by making a square with your hands. “Active Track” will trace cars, bikes, people, boats, and four legged friends using a contrast based algorithm. If your black lab is laying on the black tile floor it’s not going to work well. You also want to make sure that you are out of the way of possible obstacles because the DJI Mavic Pro will be following you either from the front, back, orbiting, or keeping your subject in the frame as you fly. The DJI Mavic Pro is rated at 27mins of flight at sea level with its 3830mah 3S Intelligent Flight battery. Here at a mile above sea level, it’s getting a lot more like 22 mins which are still more than plenty of time to get great footage. The maximum operational ceiling is 1650 feet above the controller even though you shouldn’t be more than 400ft above ground level. The DJI Mavic Pro doesn’t like to take off about 16k feet because the air is just too thin. I’ve hit 44.6mph in sport mode which is a hair above the rating from DJI. The DJI Mavic Pro weighs in at just 1.64 lbs (743 g) and when folded it is only H83mm x W83mm x L198mm, making it the perfect drone to take with you almost anywhere. Despite its small size, the Mavic comes really close to beating the performance of the Phantom 4. The top speed is 40mph (5mph slower than the Phantom 4), but flight time is surprisingly the same. Both the Phantom 4 and Mavic are getting an average flight time of 22 minutes and the Max rated flight time is 27 minutes. Control range is where things get interesting. Somehow the little controller for the Mavic is able to achieve a distance of 4.3 miles (7km). That’s over a mile more range. With the battery included, Mavic’s total weight is 1 pound 9 ounces (or 730 grams). That’s roughly half the weight of the Phantom 4 and GoPro’s Karma! When the Mavic is in flight, its vertical size is much smaller than the Phantom, but its horizontal size is actually the same or larger depending on how you measure it. The size of the Mavic when folded up is approximately 3.5 by 3.25 by 8 inches. that’s a pretty impressive number. There’s no doubt that DJI’s collision-sensing tech is impressive. More often than not, FlightAutonomy will detect and avoid obstacles in front and below you. The system is made up of 7 components including 5 cameras. There are forward and downward dual vision sensors, the main camera, dual-band satellite positioning (GPS and GLONASS), 2 ultrasonic rangefinders, redundant sensors and 24 computing cores. There’s no doubt that DJI’s collision-sensing tech is impressive. More often than not, FlightAutonomy will detect and avoid obstacles in front and below you. The system is made up of 7 components including 5 cameras. There are forward and downward dual vision sensors, the main camera, dual-band satellite positioning (GPS and GLONASS), 2 ultrasonic rangefinders, redundant sensors and 24 computing cores. These two plastic parts have been designed to keep the Mavic’s gimbal and camera safe and stable during transport. And they are important: The last thing you want is something scratching the camera lens or bending the gimbal. Because they are so important, it’s remarkably easy to turn on your Mavic and even take off without removing them both. Both should be taken off before you turn your Mavic on. Here’s why: The gimbal clamp secures the gimbal and stops it from moving while you’re on the move. When you start up your Mavic, the gimbal runs through an automatic calibration process and performs some simple movements. If the clamp is still on at this point, the gimbal motor is going to be fighting against the clamp and potentially causing damage. Think of it like driving with the handbrake on. Forgetting the cover is a more superficial problem. The camera hasn’t been designed to shoot pictures and images through the plastic dome. As well as not getting the clearest possible image, you’ll also risk ruining your shots with some nasty reflections. This point probably applies to all new drones. Yours has just arrived in the mail and you’re eager to get it up in the air. So eager, in fact, that you want to try it out there and then, in the comfort of your living room. You might have a huge living room, it might be tiny. Either way, it’s not a great idea for your first flight to be indoors. You’re asking for trouble. Not only are there plenty of obstacles nearby, you, the pilot, are also likely to be extremely close to the action should anything go wrong. It’s also best to fly a new drone outside for the first time to allow you to get used to its power. A small flick of your thumb might barely move drones you’ve previously flown. But it could send your Mavic flying into the wall. More importantly, many of the systems that make the Mavic Pro remarkably stable during flight are disrupted when flying inside. There’s little or no GPS signal, so drifting is to be expected. And even with the downward vision position in action, the uniformity of most household flooring makes it difficult for the Mavic to detect surface patterns and stabilize itself. Oh, and if you’re flying above a carpet, that absorbs ultrasound as well as being uniform, rendering your ultrasonic sensors unable to assist with stability too. There are also a bunch of settings to go through before you even take off. One of the most important is calibrating the Return to Home function. If you lose connection and you’re flying indoors, the Mavic might decide to Return to Home by flying up to the RTH altitude. That could involve flying directly into the ceiling, which isn’t going to end well. Fly outdoors while you get accustomed to the Mavic Pro. Don’t become a Youtube sensation for all the wrong reasons. Flying Beyond Line of Sight isn’t necessarily a bad thing. But it can be dangerous if you don’t take certain things into account. If you’re using DJI Goggles or lose sight of your drone for any reason, you’re not going to have the awareness you need to see obstacles and react in time. Just like when you’re flying backwards, objects could suddenly loom up without giving you much time to avoid them. With the Phantom 4 Pro, for example, flying beyond line of sight is arguably less dangerous because it can detect obstacles in five directions. But the Mavic Pro is vulnerable to trees and power lines above you, as well as all sorts of obstacles to the side or behind you. More often than not, the higher you fly (within reason) the safer your flight path is going to be when beyond the line of sight. So make sure to set your RTH function nice and high if there are structures or trees that could get in the way. You should also have a spotter with you to advise on any structures or obstacles that might be outside of your vision. Before you take off, you might get a warning notification in the DJI Go app suggesting that there’s a high level of interference. This could be anything from a power line to a base station or a transmission tower. Interference is bad because it makes the orders you send to the Mavic Pro less reliable, from directional steering to altitude control. An unresponsive drone puts the Mavic at risk, as well as you or anybody nearby. Your best bet is to fly somewhere far from interference. So if you see that warning, avoid taking off. Figure out what’s causing it and move a little further away. Yes. The Mavic was designed with beginners in mind. Out of all the drones I’ve flown from Hubsans to the Inspire 1, the Mavic is the easiest to operate. It’s really stable, the controls aren’t too sensitive and if you feel like you’re drifting into something, just take your hands off the controls and it immediately will stop. The Mavic has a lot of features like GPS and extra vision cameras to keep it stable, but you really don’t need to worry about all that because it knows when and how to use these sensors without you needing to set them up. The biggest thing to remember when flying the Mavic for the first time is that the compass needs to be calibrated. It’s an easy process that takes less than 20 seconds. Just follow what the app tells you to do. The other thing to remember is that the Mavic Pro has two eyes in the front just like a human, so obstacle avoidance only works if the obstacles are in front of you. This means it won’t avoid things that are behind it or on the sides. Yes. It’s actually easier to update than the Phantom. Just turn the Mavic and controller on, connect your smartphone and navigate to the DJI Go home page. If there’s an update, it will show up at the top of the screen with release notes. Once you press download and then install, the latest firmware will be downloaded and installed on the Mavic controller, Inertial measurement unit, electronic motor controllers, camera, and power management unit. In other words, everything about the Mavic Pro can be updated wirelessly whenever there’s an update. 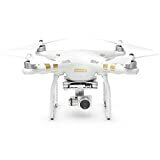 The DJI Phantom 4 Pro is one of the most amazing aerial photography platforms for the price. The DJI Phantom 4 Pro boasts a 20-megapixel 1″ sensor. Capable of shooting [email protected] in H.264 and 4k30FPS in H.265. You can easily get a 4-second night exposure while in flight with the amazing stabilization system on the DJI Phantom 4 Pro. It’s basically a flying Sony RX100 or a Lumix GH4 as far as quality goes. The main feature of the Phantom 4 is the added 3D cameras and new computer hardware for mapping out environments in three-dimensional space. This is what allows it to avoid obstacles and manoeuvre around them. However, features like obstacle avoidance aren’t the only thing that puts the Phantom 4 above all the other drones out there. From a design standpoint, the Phantom 4 is made extremely well. It’s not the kind of drone where it just looks cool. Every part has been designed to be functional, but still elegant. The DJI Phantom 4 Pro has tons of features and intelligent flight modes to make this the easiest drone you have ever flown. DJI Phantom 4 Pro includes a visual positioning system (VPS) which consists of 2 cameras and 2 sonar units facing downwards so when you are indoors and don’t have a GPS signal it will be constantly taking pictures and pinging sonar to make sure of its position and altitude. It also has automatic return-to-home should you ever lose signal, at which point it will come back to the point of taking off. If you aren’t the best pilot just yet the DJI Phantom 4 Pro also includes 5- way obstacle sensing and avoidance system. The forward and rear-facing sensors will be active all the time as long as you have them enabled in the settings menu. The side-facing infrared sensors will only be active in “Tripod” or “Beginner” mode. One nice feature of the side-facing infrared sensors is that they work at night! Let’s talk a bit about the camera, The DJI Phantom 4 Pro has a 1” CMOS sensor capable of taking 20MP still and shooting 4K video at 60FPS at a 100-bit rate. One of the biggest camera features of the Phantom 4 Pro is an adjustable aperture of 8.8 mm/24 mm (35 mm format equivalent) f/2.8 – f/11. This camera also features a true mechanical shutter so no more rolling shutter or bent telephone pole pictures when you are cruising along and want to snap a quick still. “Tripod” mode is probably the most useful flight modes with the Phantom 4 Pro because it enables the side obstacle avoidance sensors which work at night or low light because they are infrared sensors. This flight mode will limit your maximum speed to around 3 MPH so you can get some great cinematic shots. I have also used this with the Lume Cube – Drone Mount Kit for DJI Phantom 4 to do some roof inspections during the evening. In close second is “Point of Interest”, this flight mode has to be one of my favourite for doing real estate videos. All you do is point the camera straight down and fly over the center point you want to use as the focus point. Save the point, then fly out to a distance and altitude that you like and save that point. Now you can select left or right and a speed and the DJI Phantom 4 Pro will orbit the center point and you can get a great shot of an entire property from all sides. Next is “TapFly” you can have the DJI Phantom 4 Pro fly to a selected location simply by clicking the screen. I love having the DJI Mavic Pro-face me and go backwards and up about 100ft while keeping me in the frame to give a great idea of the perspective of my location. “Gesture” mode is awesome. It basically makes the DJI Phantom 4 Pro behave like it’s on a tripod. It will not move location but it will track with the camera and pan and tilt to keep a subject in the frame. All you have to do to get the DJI Phantom 4 Pro’s attention is to put both hands in the air, like the “Y” in “YMCA”. It will then lock on to you and you can move while the DJI Phantom 4 Pro tracks you. You can even queue a time-delayed selfie by making a square with your hands. “Active Track” will trace cars, bikes, people, boats, and four-legged friends using a contrast-based algorithm. If your black lab is laying on the black tile floor it’s not going to work well. You also want to make sure that you are out of the way of possible obstacles because the DJI Phantom 4 Pro will be following you either from the front, back, orbiting, or keeping your subject in the frame as you fly. The DJI Phantom 4 Pro is rated at 30mins of flight at sea level with its 5870mah Intelligent Flight battery. Here at a mile above sea level, it’s getting a lot more like 24 mins which are still more than plenty of time to get great footage. The maximum operational ceiling is 1650 feet above the controller even though you shouldn’t be more than 400ft above ground level. The DJI Phantom 4 Pro doesn’t like to take off about 16k feet because the air is just too thin. I’ve hit 55.6mph in sport mode which is a hair above the rating from DJI. Here are some of the features that make the Phantom 4 my favourite video drone. The Phantom 3 Standard is the lowest cost model and with a price like $499 it’s great for people on a tight budget. It was originally released a few months after the Phantom 3 Professional and Advanced as a more affordable Phantom that didn’t have all the expensive features of the Phantom 3 Advanced and Professional. The first thing you will notice is that it doesn’t shoot 4K video, however, it does shoot 2.7K video which is good enough for most people and the FPV (first-person-view) video feed is 720p. It also uses a less expensive Panasonic image sensor instead of the popular Sony Exmor R sensor found in the GoPro Hero 4, but most people wouldn’t notice the difference in image quality. Another feature that the Phantom Standard lacks is the optical flow vision positioning system. This might not seem like a needed feature (and it isn’t), but it’s one of the only things that makes the Phantom 3 so much better than its competitors at holding its position and landing. A much less obvious fact about the Phantom 3 standard is that it uses a much more simple controller design than the other three models. It’s actually a borrowed design from the old and iconic Phantom 2. This means that you won’t be getting any dedicated controls for things like changing exposure, video recording, video playback and there are no custom buttons on the back either. Oh, and if you want to use your iPad there’s no way of easily mounting it to the controller because the older mounting clamp design is too small. It might seem like there’s a lot missing from the Phantom 3 Standard, but you have to remember that it costs less than half the price of the fully featured Phantom 3 Professional. To be clear, the Phantom 3 4K is not the best Phantom 3 money can buy. It’s actually not even the second best Phantom 3 (in my opinion). It has all of the features of the Phantom 3 Standard, but it also does 4K video recording, comes with the much more advanced (iPad friendly) controller and has vision positioning. It was released at the beginning of 2016 as the cheapest Phantom capable of shooting 4k. It’s priced at $799 right now which is amazing, but even at the retail price of $999, it’s still the most affordable 4K drone you can buy. With all of the most popular features of the other two more expensive Phantom 3 models at a better price. The Phantom 3 4K seems like the perfect drone, however, there are three things it lacks that I’ll talk about in the next section. For $799 the Phantom 3 Advanced has all of the features of the Phantom 3 4K except for the 4K? So why should you buy it? Why would you buy the Phantom 3 Advanced for the same price as the Phantom 3 4K? Because the range, reliability, and video streaming quality of the Phantom 3 Advanced are much better than the Phantom 3 4K (by a lot). The main reason for this is because the Phantom 3 Advanced uses a technology called Lightbridge which is used to get a much more reliable video and control signal. This basically doubles the number of satellites you can connect to which will make the GPS signal around 2 times more reliable. There’s one last thing that makes the Phantom 3 Advanced a better choice. For some reason, the Phantom 3 4K only streams 480p video even though all the other Phantom 3 models (including the Standard) can stream 720p video. Why DJI made the decision to lower the streaming quality of the Phantom 3 4k is still a mystery to me, but if I had to choose between the Phantom 3 Advanced and the Phantom 3 4K, I would go with the Advanced just for the better video feed. Like the Phantom 3 Advanced, the Phantom 3 Professional uses Lightbridge, has the better GPS, the higher quality 720p video feed, but it also shoots in 4K. 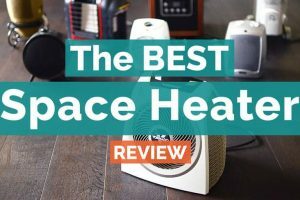 The only other difference is that it comes with a larger 100W charger which charges in less than an hour, compared to one hour and twenty minutes with the other models. The Phantom 3 Professional continues the proud tradition of DJI’s Phantom series and brings several important innovations to the Phantom’s rich feature set. The Phantom 3 Professional carries a fully stabilized 3-axis 4k UHD video camera for smooth, crisp videos and still photos. To allow you to see what the drone sees, DJI has engineered a new generation of their Lightbridge technology that allows 720p HD digital streaming of live video directly from the drone. You can control the camera and see the video in real time as you fly and you can even share the video using the DJI Pilot app’s advanced features. To aid indoor flying, the Phantom 3 Professional includes an integrated array of optical and ultrasonic sensors call Vision Positioning that allows you to fly precisely indoors without a GPS signal. The Phantom 3 Professional includes all the tried-and-true features you’d expect from a DJI drone, including GPS navigation with auto takeoffs and auto landings, intelligent high-power flight battery, a built-in safety database of no-fly zones, and a powerful mobile app for your iOS or Android device. Even on the standard Phantom 3 drone, the image quality is incredible. Step it up to the Advanced or Pro model and you get an even better camera. The DJI Phantom 3 comes in either “Standard”, “Advanced” or “Professional”. Overall the quadcopter is exactly the same for each model. The only difference is the camera and battery charger. The “Standard” model comes with a 2.7K HD 12M camera at 40Mbps and a 57w battery charger. The “Advanced” model upgrades to a Sony Exmor 2.7K HD 12.4M at 40Mbps camera and a 57w battery charger. The “Professional” model gets a Sony Exmor 4K HD 12.4M at 60Mbps camera and an upgraded 100w battery charger. Included is the DJI GO app that makes this bird extremely easy to operate. The app allows you to set an autopilot flight plan through your smart device, or you can have the drone follow you. Its GPS system keeps it very stable, even on windy days. You can even have the camera focus on one spot as it follows you or your preset flight plan. The Phantom 3 has an impressive range of 3,000+ feet (about a half mile) and a flight time of around 20 minutes. If it’s a windy day, your flight time will decrease. If you fly your quadcopter out of range, the GoHome feature will activate and it will automatically return to where it was launched. This can also be done by pressing the return to launch button on the transmitter or by switching the transmitter to the off position. Complaints of the DJI Phantom 3 are few and far between, but they are there. The most common is a difficulty updating the firmware. Some users have claimed that the software will not update and the drone will not fly until the update is performed. There have also been reports of drones falling from the sky when the battery goes under 20%. This is a tough one for me. If you pay this kind of money for a multi-copter, don’t push the limit on the battery. Although expensive, just buy an extra battery and swap them out at around 25%. The DJI Phantom 3 is not a toy on any level. It’s for serious enthusiasts or professionals and is priced accordingly. Note: DJI GO app works on iOS 8 or newer for Apple products and Android 4.1.2 or newer for Android devices. Let me just start off by saying, if you ever get a chance to see this drone in person, you’re going to want one for yourself. With a design that looks like it came from a sci-fi movie, the Inspire 2 is the smartest, fastest, highest quality, most professional ready-to-fly drone you can buy. The body of the brand new DJI Inspire 2 is made of magnesium aluminium and carbon that makes it not only lightweight but also very stiff. The top speed of Inspire 2 is 65 MPH or 108 KMH that comes with a dual battery system which allows it to stay in the air for a whopping 27 minutes. The new front facing camera allows the pilot to focus on the flight while the operator is using the main camera to get stunning shots in different directions. The Inspire 2 can be used with brand new X4S and X5S cameras and will support other cameras in future. Compatibility with older cameras such as Z3 and X5 hasn’t been clarified. There isn’t much that the Inspire 2 CAN’T do. It comes standard with all of the features of the Phantom 4 Professional, but with a design optimized for performance and industry-leading video features. It’s almost twice as big and twice as fast as the Phantom 4 (reaching speeds of almost 60MPH, and with it’s transforming design, the propellers will hardly ever appear in your videos. Zenmuse X4S is a new camera for the Inspire 2 with a 1 inch 20 MP sensor and almost 12 stops of dynamic range. X5S features Micro 4/3 20.8MP sensor and ability to fit up to 10 different lenses on it including wide angles and zoom lenses. X4S and X5S will most likely be compatible with DJI Osmo too.Additionally, the Inspire 2 comes with a 5.2k camera on a 360-degree panning gimbal and a dedicated FPV (first-person-view) camera. With all of these features, you no longer have to blindly fly backwards or sideways to get the shots you want. Having the FPV camera makes the Inspire 2 ideal for dual pilot operation. One person can fly using the FPV camera while the other person controls the video camera. Having two operators is great because it splits up the amount of work you have to do, but If you like to fly solo, you can now use the Spotlight Pro feature, which allows you to focus on flying while the Inspire 2 automatically points the camera at a specified. Video quality on the Inspire 2 is second to none. Inspire 2 features new image processing called CineCore 2.0 that allows it to process large files faster than ever before. With the production-ready X5S camera, you have the choice of shooting RAW 4K video at 60FPS, 12-bit RAW 5.2K video at 30FPS, stores it straight to the new, redesigned CineSSD and if you like Apple Prores, there’s even Prores 4444 XQ support. Inspire 2 can be used in a variety of scenarios where other drones can’t get the job done. With special high-altitude propellers, it can fly at the height of 5000m (16,400 ft) above the sea level. The new batteries with a self-heating feature can be used safely in the extremely low temperature up to -20 degrees Celsius. New drone is also capable of streaming 1080p video at 50fps and 720p at 60fps. I can’t cover everything about the Inspire 2 on this page, but one thing that I need to mention is that this is not something you should buy for your 12-year-old son as a gift. 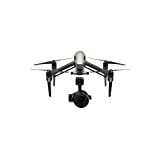 The Inspire 2 costs roughly $6,000 and is intended mainly for people who want the absolute best aerial photography/cinematography tool on the market; however, the Inspire 2 is still one of the easiest drones to fly, so don’t feel intimidated. Whether you have a real use for this drone, or you just want something that will impress all of your friends, the Inspire 2 is definitely a drone worth looking into. If you like the design of the Inspire 2, but just can’t afford it, you might also consider buying the Inspire 1. It’s obviously nowhere near as good as the Inspire 2 if you compare the features, but the video quality you can get from the older X5 camera is still in a lot of cases better than the Phantom 4 Pro. DJI also makes hi-zoom and thermal imaging cameras that work with the Inspire 1, in case you need something for agriculture or search-and-rescue use. Updated on the Inspire 2 is an Obstacle Avoidance system that is implemented by dual front cameras facing both downwards and upwards with infrared sensors dedicated for a safe flight in the enclosed area. Its double battery system ensures that even if one battery fails in flight, the second one will be able to perform RTH and landing safely. DJI Spark is the cheapest of the hobby photographer drones. At $500, the Spark is designed to be accessible, easy to use and is incredibly compact (it could fit in a large pocket)! The most incredible feature with the Spark is “gesture control,” where it can operate completely based on your gestures — no need for a remote controller. There is an element of “you get what you pay for” with the Spark. The Spark has the lowest quality camera in this series, shooting at 1080p vs. 4k resolution for the other drones. If you are looking for high quality, 4K images, you may want to pass this one. The DJI Mavic is everything a drone should be. It’s high-quality aerial video, in a small package that will have you wanting to bring it everywhere you go. The DJI Inspire 2 has an image processing system records at up to 5.2K in CinemaDNG RAW, Apple ProRes and more. This drone also has obstacle avoidance on two sides for safety. DJI Phantom 4 is nearly crash-proof. Two forward-facing optical sensors scan for obstacles and automatically direct the aircraft around the object if possible. DJI Phantom 4 Pro is pretty similar to the Phantom 4 — but one big difference. Instead of sensors on just the front of the drone that can detect obstacles, the sensors are on all 4 sides.